Vera Rubin, with Department of Terrestrial Magnetism (DTM) image tube spectrograph attached to the Kitt Peak 84-inch telescope, 1970. » Vera Rubin, with Department of Terrestrial Magnetism (DTM) image tube spectrograph attached to the Kitt Peak 84-inch telescope, 1970. 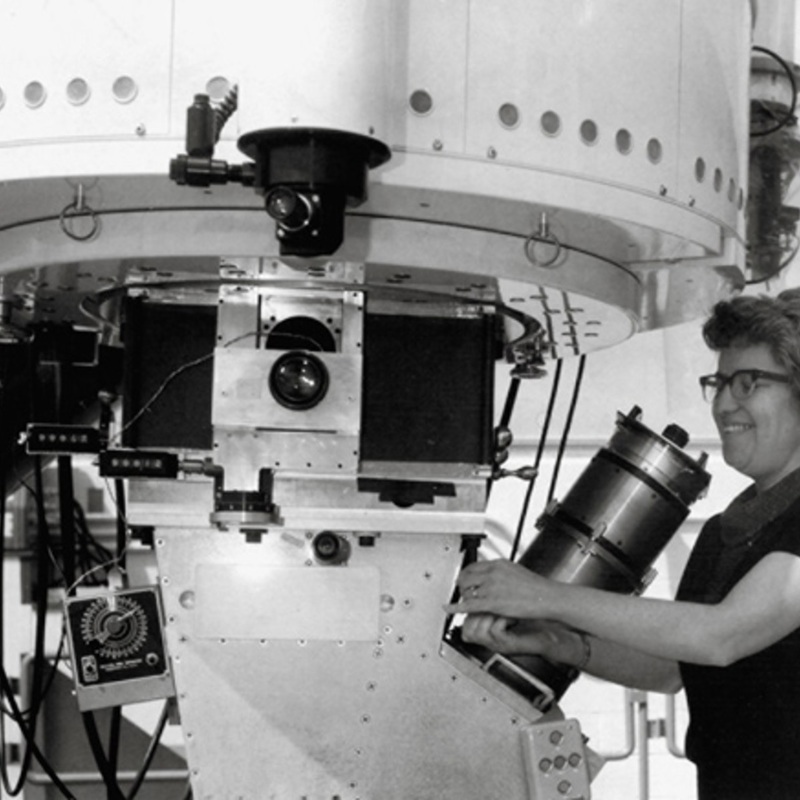 Vera Rubin, with Department of Terrestrial Magnetism (DTM) image tube spectrograph attached to the Kitt Peak 84-inch telescope, 1970.